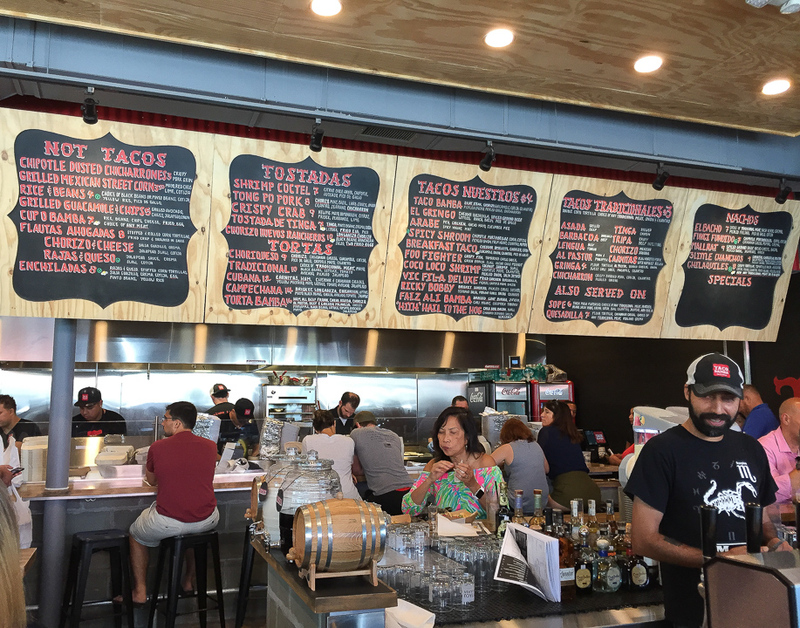 Tom and Susan were brave (actually foolhardy) and went to Opening Day at the brand-new Taco Bamba in Springfield on Backlick Road. Yes, there was a long line. Our patience was rewarded with some chips and zesty guacamole to start. Our main course was heaping carne asada and stewed chicken tacos. It was tough to forgo the margaritas with their vast tequila selection…but we’ll be back after work soon! Check our their whole menu here. It is filled with all sorts of tacos (of course! ), tostadas, tortas, and sides such as rice and beans, grilled Mexican street corn and chicharrones. Taco Bambo also has locations in Falls Church (the original) and Vienna. The chef/owner of Taco Bamba is Victor Albisu, who has been around the restaurant industry for more than a decade. His first restaurant, Del Campo, “is an upscale South American grill in the Penn Quarter neighborhood”, and Tom and Susan actually went there with some friends recently to celebrate her birthday, so we’ll have a blog about that soon too. Albisu was named Chef of the Year by the Restaurant Association of Metropolitan Washington (RAMW).